If you co-own a business you’ve probably been told to get a buy-sell agreement. A good buy-sell agreement creates a market for your shares when you die or depart the business. 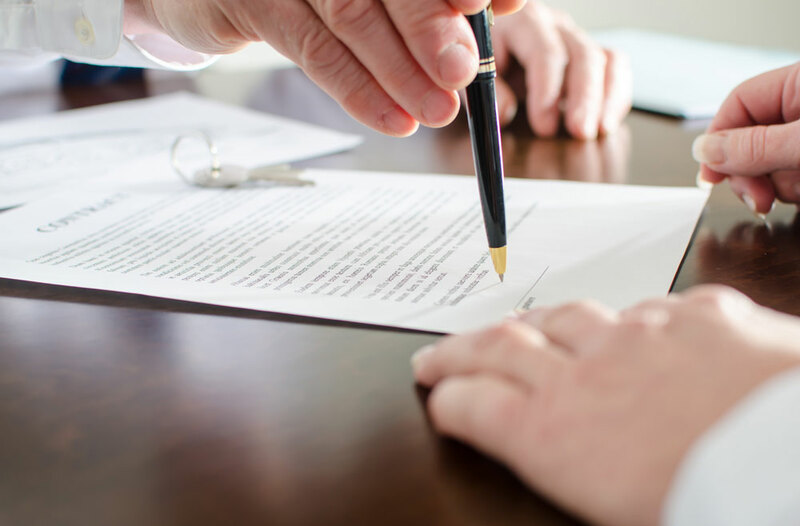 A buy-sell agreement also helps you block your co-owner’s transfer of the shares to a third party, typically to a spouse or child, so you don’t have to partner with an incompatible owner. For a small business owner, this might be the most important business document you ever create. Yet if you get the business value wrong, you might be worse off than having no agreement at all. With no agreement, you might be able to fight it out to get fair value. But that won’t be the case if you sign a binding buy-sell agreement that sets a value too high for you as the buyer or too low for you as the seller. Your counterpart will have little incentive to renegotiate once a triggering event occurs and it becomes clear that you’re on the losing end. You’ve probably read dozens of articles in business publications about how to value a business. In most cases, you end up more confused after you read the article. The good news is that it doesn’t have to be that confusing. For a small business owner, this might be the most important business document you ever create. Yet if you get the business value wrong, you might be worse off than having no agreement at all. The article I read yesterday in a national business publication is typical of what you see in the popular press. The author lays out six different ways to value the business: book value, designated value, appraised value, formula value, life insurance value, and mutual consent. Although he mentions some of the pros and cons for each method, he never commits to a particular method. Most attorneys understand the importance of the valuation provisions, but don’t feel qualified to advise on this subject so they suggest a 3-D approach, letting their client decide among these three options: (1) Designate the value in the agreement, (2) Devise a formula for determining the value, or (3) Delegate it to a qualified business appraiser. When my clients find out that I am trained as a business appraiser, they usually assume that I will direct them to delegate this to a disinterested business appraiser. In fact, I rarely recommend this approach because it is generally not practical for small businesses. I’ll explain below, but first let’s consider the pros and cons of each approach. Designating the value is the simplest approach and easiest to understand. All the shareholders sign off on a value for the business so that there will be no surprises when the buy-sell is triggered and a departing shareholder sells his shares back to the company or to the other shareholders. In deciding this for themselves, the shareholders can consider all sorts of factors that might affect the value of the company. Owners are sometimes uncomfortable with adopting a rigid formula or relaying upon a business appraiser who might not fully understand the business, its future potential, or the challenges it faces. Of course, most business owners have only a vague idea of value and would admit that they are not competent to value the business. Sometimes, however, they are blessed with market information or have recently received a bona fide offer for the business so they have a good idea of what it would sell for. In these cases, designating the value might make sense but values change and the biggest drawback to designating the value is that once a value is set, small business owners almost always neglect to update the value. I’ve see companies in which the shareholders were so busy running the company that they hadn’t updated the valuation in fifteen years. So, when a shareholder suddenly dies, the value of the business according to the buy-sell agreement is $500,000 when in fact the business is worth $3,000,000. And even if you remember to update the valuation, don’t assume your fellow shareholders will agree to a new value. Most agreements require unanimous consent to designate value and one uncooperative shareholder can make it impossible to update the value. Using a formula keeps the valuation current because it updates automatically as the financial performance changes over time. Formulas are not perfect, however, and this approach is often criticized as being narrow and inflexible by its very nature. Formulas rely exclusively on historical results, which can produce inaccurate assessments when the future is expected to be dramatically different due to the addition or loss of a major customer or changes in the industry or economy. I agree that an appraisal by a qualified appraiser will generally produce a more accurate appraisal but this approach is simply not practical or workable for the typical small business. This leads many to conclude that using an appraiser is the best approach because an appraiser can consider all factors that affect the valuation, not simply historical results and a handful of calculations that are hard-wired into the agreement. I agree that an appraisal by a qualified appraiser will generally produce a more accurate appraisal but this approach is simply not practical or workable for the typical small business. For starters, even when the owners are receptive to an appraisal, very few small business owners secure an appraisal to value the company when they first sign the buy-sell agreement. They simply write in the buy-sell agreement that if there is ever a triggering event, the company will hire an appraiser to value the company. My guess is that only one in a hundred companies consults with a qualified business appraiser before committing to a buy-sell agreement, so the shareholders start off with no idea what the company is worth. They might get a clue when they apply for insurance because the insurance company will not allow them to secure insurance that is wildly in excess of the perceived value of the company, but even this is not a good guide because the insurance company typically doesn’t know what your company is worth. The other major problem with the appraisal approach is that buy-sell agreements often require the company or the non-departing shareholder to commit to the purchase before they know the value of the company. Who would want to commit to a purchase without knowing the price? Yet, we see this in most of the buy-sell agreements with an appraisal approach. On the other hand, who wants to pay for an appraisal if no one will be buying? Periodic business appraisals are simply too expensive for the typical small business. At $5,000 to $15,000 every time a valuation is performed, this is simply unaffordable. Moreover, an appraisal approach often leads to a battle of the appraisers so that there is not one appraiser involved but two or even three, which can cost a small fortune in appraisal fees. In most cases, it’s better to value the company based on its earnings power. For a small business, I typically recommend a formula approach with the ability of the shareholders to override the formula and designate the value. To designate the value requires either unanimous vote or a supermajority vote of the shareholders and the designated value is good for a short period of time, typically 18 to 24 months, at which time the designated value expires and the formula becomes operative again. This is to ensure that the valuation does not go stale. This approach combines the best of the formula approach and the designated value approach. So long as the formula seems to produce a reasonable value, the shareholders stick with the formula but if a good reason exists for departing form the formula, the parties have the option to designate the value. Of course, the formula approach is only as good as the particular formula. Many formulas are bad or incomplete. “Book value” is often used as a valuation formula but for most companies the book value approach significantly undervalues the company because it values only the assets and not the earnings power of a business. Even the term “book value” is a misnomer because there is no attempt to really value the company based on its current value. Assets are recorded at historical cost, which might work well for cash, inventory and accounts receivable but this is not a good way to value assets such as equipment which might have depreciated or land which might have appreciated since it was purchased. In most cases, it’s better to value the company based on its earnings power. For example, I like to use a capitalized earnings approach in which we apply a multiple to a three-year weighted average of earnings. Using one year is dangerous because one particularly good or bad year can significantly alter the value. Formulas usually place more weight on the recent years because current performance is usually a better predictor of future performance than the distant past. Unfortunately, I often see incomplete or incorrect valuation formulas, such as using EBITDA (earnings before interest, income taxes, depreciation and amortization) as the earnings base but forgetting to subtract debt in the final step. A bad formula can have disastrous consequences. Much more could be written about valuation provisions, but here’s the key point: A buy-sell is likely the most important document for a business owned by more than one owner. And the valuation provision is perhaps the most important provision in that document. So get it right or your buy-sell agreement will be the most expensive document you ever sign.